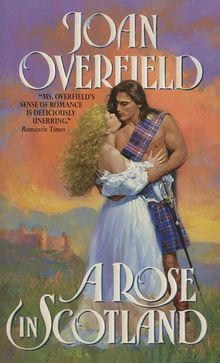 A member of RWA since 1984, Joan has been apublished author since winning the Golden Heart Awardfrom Romance Writers of America in 1987 for herRegency, The Prodigal Spinster. Since then she has writtena total of twenty novels, nineteen of which have alreadybeen released. Along the way Joan has made severalbestsellers lists and won numerous awards for her work,including this year's award for Career Achievementin Regency Romance from Romantic Times Magazine.She lives in Washington State with her golden retriever,Libby, and an ornery alleycat named Pounce. She isalso a killer Trivial Pursuit player, and loves the smokeywail of a tenor sax and the icy bite of perfectlychilled champagne.